India's General V.K. Singh, March 5. NEW DELHI —India’s army chief says the country’s security is at risk, with army tanks running out of ammunition and its air defense system obsolete, in another embarrassment for India’s beleaguered government. The private letter from Gen. Vijay Kumar Singh to Prime Minister Manmohan Singh was discussed in Parliament on Wednesday after it had been leaked to a national newspaper and television stations. Defense Minister A.K. 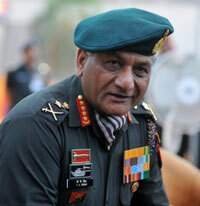 Antony said the government was addressing the concerns raised. The letter caused an uproar in Parliament with angry opposition lawmakers attacking the government for neglecting the country’s defense. 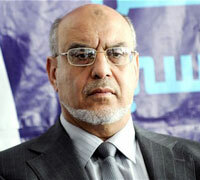 Hamadi Jebali, 62, is general secretary of Tunisia's Islamist Ennahda Party. He has served as the country's prime minister since December 2011. Secretary of State Hillary Rodham Clinton said the U.S. also is negotiating a separate package in which Washington would offer loan guarantees to raise hundreds of millions of dollars for Tunisia. Mrs. Clinton, who spoke by telephone Wednesday with Prime Minister Hamadi Jebali, said the aid would let Tunisia pare down debts to the World Bank and African Development Bank left over from dictator Zine El Abidine Ben Ali’s 23-year regime. The $100 million [payment from the U.S.] will allow Tunisia “to instead use [its] money for its priority programs, accelerating economic growth and job creation,” Mrs. Clinton said. Bomb-making factory discovered in Suleja, Nigeria. ABUJA — Security forces raided a bomb factory in Nigeria run by a radical Islamist sect as gunmen from the group launched new attacks against police stations in the nation’s northeast, officials said Sunday. The latest violence blamed on the sect known as Boko Haram killed two security officials in Kogi state and a local politician in Maiduguri, the group’s spiritual home in Nigeria’s northeast. Authorities raided the bomb factory Saturday in Okene, a town in Kogi state, which sits just south of Nigeria’s capital, Abuja. Boko Haram, whose name means “Western education is sin” in the Hausa language of Nigeria’s north, has carried out attacks in Kogi state previously, the furthest south its struck in its campaign of terror. [The sect has rejected efforts to begin indirect peace talks with Nigeria’s government. The group’s demands include the introduction of strict Sharia law across the country, even in Christian areas, and the release of all their imprisoned followers. Meanwhile Sunday, Borno state police spokesman Samuel Tizhe said local politician Wanangu Kachuwa was shot to death after returning home from a church service. Tizhe blamed the attack on Boko Haram and said no arrests have been made. b) Do you think it is beneficial or detrimental for the security of India for this letter to have been leaked to the press? Explain your answer. c) Is leaking such a letter to the press the best/fastest way to improve the state of the army in India? Explain your answer. b) How will the $100 million from the U.S. be used? c) What needs to happen before the U.S. sends Tunisia the money? d) How much debt does the U.S. have? – Do you support sending $100 million of our tax dollars to Tunisia to help them get out of debt and “accelerate economic growth and job creation”? Explain your answer. b) What does the name of the radical Islamist sect Boko Haram mean? [France won control of Tunisia from Italy] in 1881 and [made it] a protectorate. [Tunisia won independence from France] in 1956. The country’s first president, Habib Bourguiba, established a strict one-party state. He dominated the country for 31 years, repressing Islamic fundamentalism and establishing rights for women unmatched by any other Arab nation. In November 1987, Bourguiba was removed from office and replaced by Zine el Abidine Ben Ali in a bloodless coup. Ben Ali [was] serving his fifth consecutive five-year term as president [until protests in Dec 2010/Jan 2011 caused him to flee to Saudi Arabia on Friday, Jan. 14, 2011]. On December 12, 2011, Moncef Marzouki was elected as president of Tunisia by a ruling coalition dominated by the moderate Islamist Nahda party. Marzouki had previously been imprisoned and exiled for years for opposing former President Zine el Abidine ben Ali. At the time of his election, Marzouki was head of the secular center-left Congress for the Republic party. The Islamist sect Boko Haram carried out its deadliest assault in a single day, killing more than 100 people in coordinated bombings and shootings in Nigeria’s second largest city of Kano [in January 2012]. The group’s increasingly violent northern-based insurgency is straining relations between Nigeria’s largely Christian south and its mostly Muslim north. Boko Haram became active in about 2003 and is concentrated mainly in the northern Nigerian states of Yobe, Kano, Bauchi, Borno and Kaduna. Boko Haram, which in the Hausa language of northern Nigeria means “Western education is sinful,” is loosely modeled on the Taliban movement in Afghanistan. The group considers all who do not follow its strict ideology as infidels, whether they be Christian or Muslim. It demands the adoption of sharia, Islamic law, in all of Nigeria. Boko Haram followers have prayed in separate mosques in cities including Maiduguri, Kano and Sokoto, and wear long beards and red or black headscarves. The group published an ultimatum [in January 2012] that Christians had three days to get out of northern Nigeria. Since the ultimatum, attacks in northeastern Nigeria have killed many with hundreds of Christians fleeing to the south. President Goodluck Jonathan declared a state of emergency on December 31, 2011 in a bid to contain the violence. Jonathan said the violent sect had supporters within his own government and the insecurity the group had created was worse than during the civil war that broke out in 1967 and killed more than a million people. Boko Haram (which means “Western or non-Islamic education is a sin”) is a controversial Nigerian militant Islamist group that seeks the imposition of Shariah law in the northern states of Nigeria. Boko Haram opposes not only Western education, but Western culture and modern science as well. In a 2009 BBC interview, founder Ustaz Mohammed Yusuf stated that the belief that the world is a sphere is contrary to Islam and should be rejected, along with… the theory that rain comes from water evaporated by the sun. Yusuf was hostile to democracy and the secular education system, vowing that “this war that is yet to start would continue for long” if the political and educational system was not changed. In Bauchi the group was reported as refusing to mix with local people. The group includes members who come from neighboring Chad and speak only in Arabic. 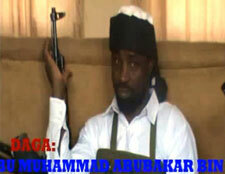 In July 2009 the Nigerian police started investigating the group, following reports that the group was arming itself. Several leaders were arrested in Bauchi, sparking deadly clashes with Nigerian security forces which led to the deaths of an estimated 700 people. In the state of Yobe, Boko Haram fighters reportedly “used fuel-laden motorcycles” and “bows with poison arrows” to attack a police station. At that time, Yusuf was killed by Nigerian security forces after being taken into custody [following Boko Haram’s violent attacks on civilians and police]. -On April 1 (the day before the original date of Nigeria’s legislative elections), suspected Boko Haram members attacked a police station in Bauchi. -On April 9, a polling center in Maiduguri was bombed. -On April 15, the Maiduguri office of the Independent National Electoral Commission was bombed, and several people were shot in a separate incident on the same day. Authorities suspected Boko Haram.